There are quite some insulation materials you can use that are available in the market today. Each type of material has its pros and cons. 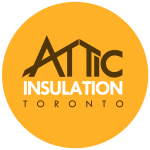 So, before choosing the material to use for attic insulation, you need to be aware of what each material provides for your situation. Let us look at the five common types of insulation materials. For mineral wool insulation, there are three options that are available, glass wool that is derived from fibreglass, rock wool that is derived from basalt, and slag wool derived from steel mill slag. In Canada, you will find that most of the mineral wool is slag wool. You can purchase mineral wool either as loose material or in batts. Mineral wool is not an ideal option for places where extreme heat is present because it does not have additives. But since it is not combustible, it can still be used in the attic. To make it more effective, you can use it with other fire-resistant materials. Fibreglass is perhaps the most common insulator in the market. It is made by weaving glass strands in the insulation material. Fibreglass, a non-combustible material requires delicate handling because it contains glass powder which can damage your lungs, skin, and even your eyes when it breaks. When using fibreglass, ensure that you use protective gear like gloves, masks, and goggles. Cellulose is an insulating material that is made from recycled paper, cardboard, and other loose materials. It is eco-friendly and one of the best insulators in the market. Cellulose is a great product especially as a counter to fire damage because it has close to no oxygen in it. In case a fire outbreak starts in your attic, it can minimize any damage. Polyurethane is not a common insulator, but it is a great insulation option. It is made up of polyol, isocyanate and other auxiliary materials like stabilizers, catalysts and foaming agents. This insulator is also present in low-density foams which can be sprayed into uninsulated areas. Polyurethane foam is a great thermal insulator, ideal for attic insulation. If you want a great insulator for both temperature and sound, then the waterproof thermoplastic polystyrene is your best option. There are two types of polystyrene, (XEPS) extruded known as Styrofoam, and (EPS) expanded. The two differ in their cost and performance rating. Polystyrene is unique because of its smooth surface which is not common among other insulation materials. Natural fibres and Polyisocyanurate are also potential contenders to be used in attic insulation. Additionally, there are outlawed substances which are hazardous, like perlite and vermiculite. To choose the right type of insulation material, contact a professional to help you select the right one for your needs.